I'd like to have a webmoney donate option. Can I donate this way here? We're financially not very solvent right now, but I'd gladly offer you some free server space on our fast vServer with 12GB dedicated Ram and 300GB 100% SSD drive. We plan on staying with that server for many years to come and it's not being shared with qanyone else either. We just consolidated demains recently. So if 50 GB of SSD disk space is enough for you, then you'd be welcome to it. PM me and I'll provide more info. 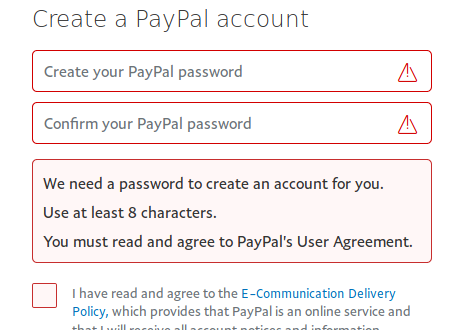 PayPal is a constant problem for me... my money disapears but I don't know where it ends up. I wish I could simply donate with my credit card... but I can't find a way to do that. That's exactly what I did, I donated with a credit card, I didn't click "Log in to Paypal" Maybe you are already logged in to Paypal into another instance, just log out or start the browser in Incognito mode. I might see the issue. Look onto the image you posted. You have not shown the "Donate Now" button but only the "Login"-button. And as this "Donate Now" button is very below it might simply not be visible if you not have a big enough screen. 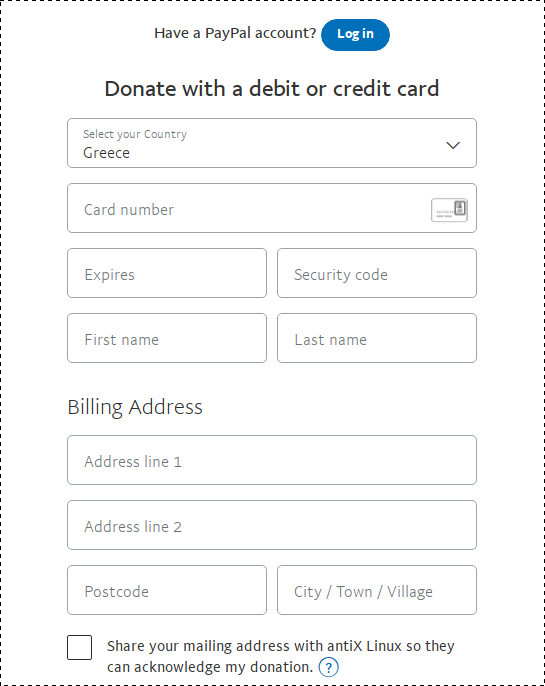 So the advice would be Scroll Down do the "Donate Now" button to donate with credit-card without Login-to Paypal. my problem is only with paying antix. I repeatedly got this on multiple attempts over 3 days on both my home (Linux) and office (Win7) computers. Last night, just 5 minutes before my final attempt to make payment, I used paypal to make a small donation to Manjaro (every 2 years they get a small sum from me). It went through without issue. For those wishing to donate, but having issues with the antiX PayPal, please use the MX PayPal donation button. (I checked with Jerry that I could do this and he said yes). Make sure you comment that the donation is to antiX fund-drive. Many thanks to all who have donated.